Memorial Drive Tire & Auto has been servicing most foreign and domestic vehicles in Houston, Texas for many years. We are dedicated to providing you and your family superior customer service with all of your auto maintenance needs by striving to do things right the first time, EVERY TIME! 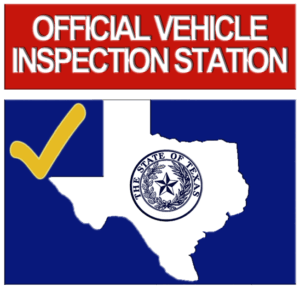 Memorial Drive Tire & Auto is an Official Texas Vehicle Inspection Station. Our goal is to educate you about your auto maintenance needs and guide you every step of the way. Uneven tire wear, vehicle drifting or pulling, are signs that your vehicle may need an alignment. Call now and schedule your alignment today. Give Memorial Drive Tire & Auto a call at (281) 497-0830! As a matter of fact…yes, we do! We love helping our customers navigate through their day without interruptions while we work on their car. We have a FREE local shuttle service. Let us drive you to where you have to be and pick you up when we are finished working on your vehicle. Give Memorial Drive Tire & Auto a call today at (281) 497-0830 and let us pick you up!